Salem, OR—The market for digital currency, also known as cryptocurrency, saw a near 50 percent drop in value last week after soaring to record highs only a month ago. 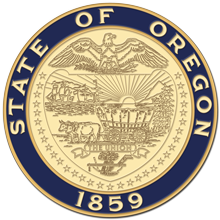 Meanwhile, the Oregon Department of Consumer and Business Services recently received two consumer complaints regarding digital currency transactions. Both transactions involved consumers unable to get help accessing their accounts from their digital currency exchange. •	Understand the risk – Digital currency is unstable and can experience a sudden increase and decrease in value. The market has seen almost a 50 percent drop in value last week alone. It is not subject to regulation in the U.S., so the government cannot help you if your digital currency is lost, stolen, or hacked. •	Difficult to get your cash – Turning cash into digital currency is easy, but it can be difficult to turn it back into cash when you need it. This can prove risky considering how erratic the markets can be. •	Not federally insured – Unlike money deposited into banks and credit unions, digital currency is not insured by the Federal Deposit Insurance Corporation (FDIC) or the National Credit Union Association (NCUA). •	Do not spend or exchange money you cannot afford to lose – The volatility of the digital currency market means that you should not use money that is needed for essential purposes, such as paying regular expense, debt, or saving for education expenses. •	Treat digital currency investments like a commodity – Treat cryptocurrency like a non liquid investment similar to oil, copper, or gold, and understand that digital currencies do not have the basic value of most commodities. •	Use a digital currency exchange that is licensed with the state – Oregon law does not require digital currency exchange companies, which only turn cash into digital currency, to be licensed. However, companies that help transfer digital currency from one person to another are required to be licensed by the state as a money transmitter. About Oregon DFR: The Division of Financial Regulation is part of the Department of Consumer and Business Services, Oregon's largest business regulatory and consumer protection agency. Visit www.dcbs.oregon.gov and www.dfr.oregon.gov.